Indirectly donate to the school by purchasing from these partnering retail stores and organizations or participating in their rewards programs. There is something for everyone here! Start at smile.amazon.com and select Independence Charter as the cause you’d like to support. 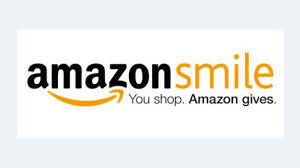 Then be sure to always start at smile.amazon.com when shopping at Amazon and .5% of your purchase will be donated to ICS. Order all your back to school labels from Emily Press and 20% of your purchase will go back to ICS. eScrip – Find your favorite online shops and restaurants through eScrip and earn every time you shop or eat. Giving Assistant – Join Giving Assistant now to shop, save, and support Independence Charter School. Easily donate 3-30% of purchases from stores like Home Depot, Kmart, and Bed Bath & Beyond. Use Goodsearch for your web searches and earn a penny for ICS every time you search the web! You can also shop with Goodshop and a percentage will go to ICS. Mighty Nest – Shop for reusable and earth-friendly products here and earn 15% back for ICS! When you shop for shoes at Pediped and enter ICS’s code: SCHYAQQ, 10% of your purchase will get donated back to ICS! Schoola – Register for Schoola and select ICS as your school. Collect your child’s gently used, high quality clothing. Request a postage-paid bag from Schoola. Stuff the bag with clothes and send them off! Schoola will resell the clothes and donate a portion back to ICS. Shoparoo – This one is a snap! Download the Shoparoo app, enter your email address, and then earn points for every picture of a grocery store receipt (any store!) that you send in. They use your receipt for market research, you earn points and money for ICS. ShopRite For My School – Just register your Price Plus club card and start earning every time you shop. Target Visa and Target credit cards – ICS receives 1% of your total purchase when you use the Target Visa Credit Card, the Target Credit Card, or the Target Check Card at Target stores and Target.com, and ½ of Target Visa purchases at other stores. You can enroll online or at your local Target store. The ICS Target school ID is 120394.